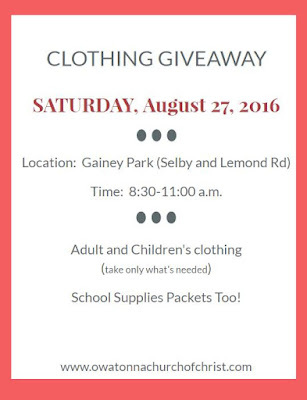 CLOTHING GIVEAWAY - August 25, 9-Noon at Gainey Park.
. We had a record attendance this year with 223 present. 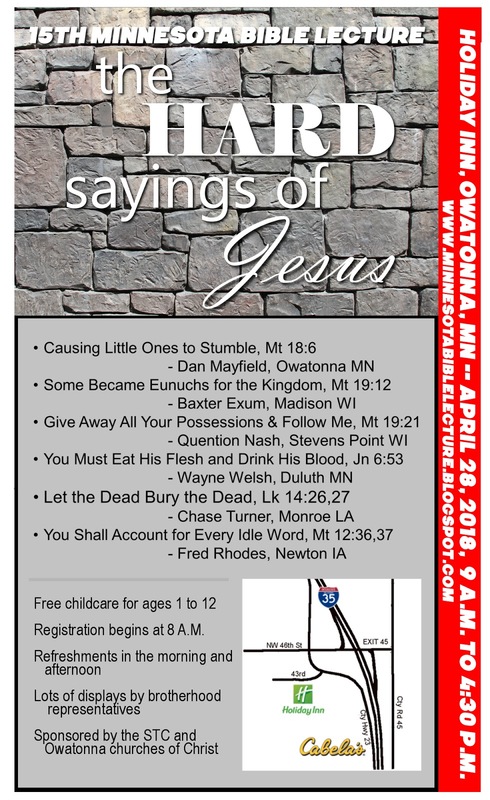 Next year's lecture is on April 27, 2019 and the topic will the The Hard Sayings of Jesus, Part 2. Put it on your calendar to attend. 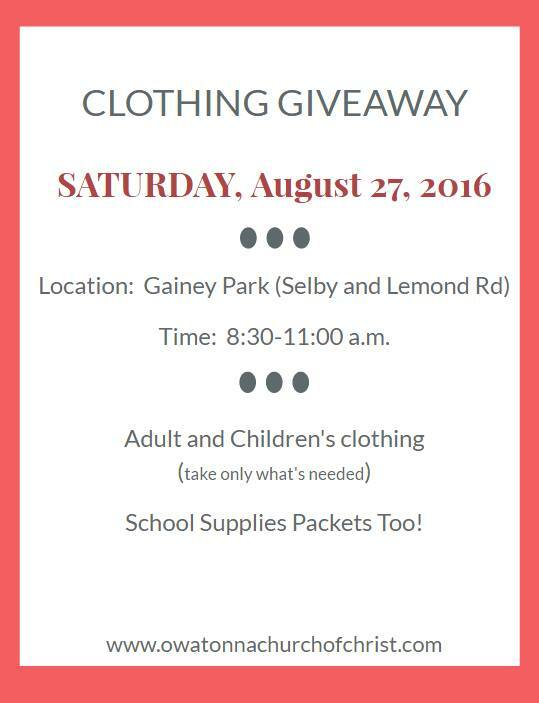 **SUNDAY 9:30 A.M. The Fundamentals of Christian Living (faith, love, and hope). Our faith directs us toward the right things to do; our love gets us moving in that direction; our hope sustains us during the difficult times. **SUNDAY (Class) 10:50 A.M. The Fundamentals about God. Not knowing God can lead to distrust and disobedience. 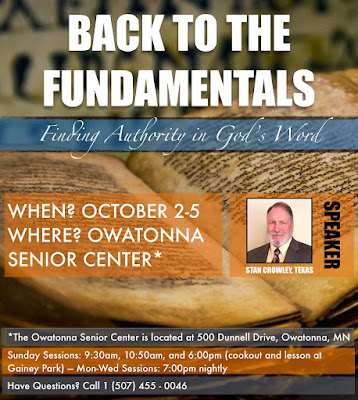 What are the fundamentals we need to know about God? 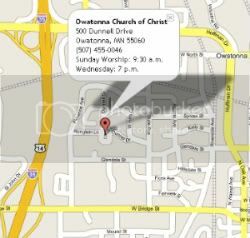 ** SUNDAY 6:00 P.M. The Fundamentals of Divine Love [Location at Gainey Park, All welcome to cookout and worship] Paul said that Christ’s love compels us to faithful service. If we understand the love, we will gladly serve. ** MONDAY 7:00 P.M. 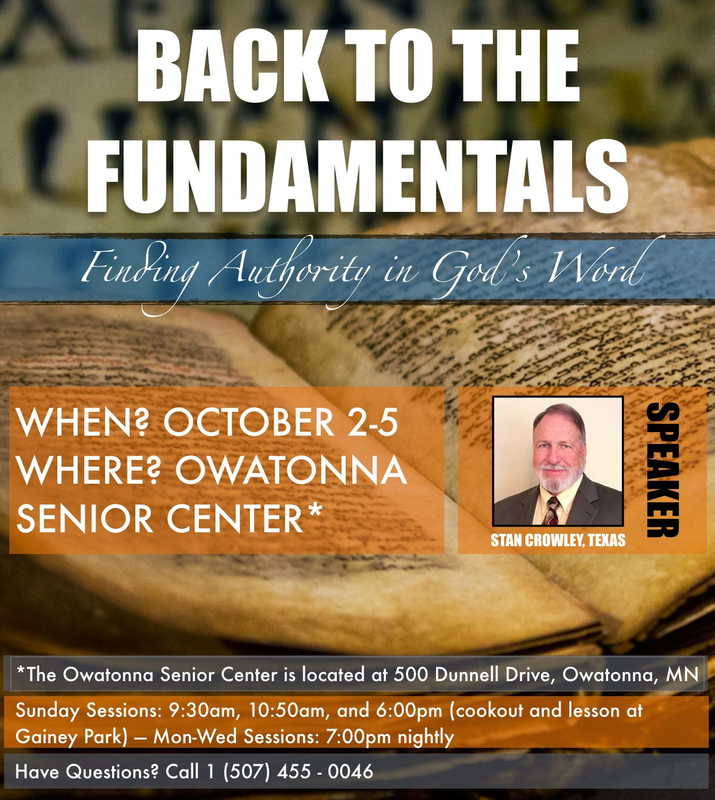 The Fundamentals of Salvation. 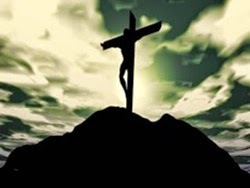 Christ died for the salvation of all, but not all will be saved (Matt. 7:13-14). What must one do, if anything, to have the salvation that Christ offers? ** TUESDAY 7:00 P.M. The Fundamentals of Worship. When man separates worship from the law of Christ, it is “vain” worship. What principles are to be used to determine how we should worship today? ** WEDNESDAY 7:00 P.M. The Fundamentals of Full Service. When will you be ready to give full service to the Lord? ** If you are not familiar with the churches of Christ, please join us Monday and Tuesday for special lessons on distinctive doctrines of the New Testament church.